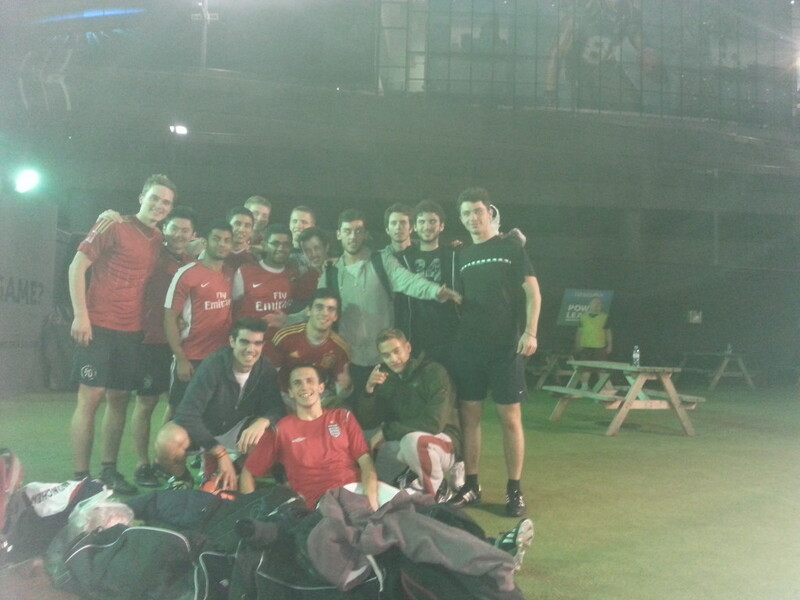 Wembley, the home of this nation’s football, and a fitting venue for CivSoc’s now annual football tournament. The tournament itself had humble beginnings last year, as Rachel Ribeiro, your CivSoc chair for those of you who have been hiding under a rock and not reading LIVIC, took it upon herself to start something new and leave her mark on the CivSoc calendar. Last year we descended on West London, this year, under the watchful eye of Wembley Stadium, we descended on Powerleague, home to 5 a side football. Fate almost shot down the event in the early hours of Thursday morning; rumours of a double booking circulated the Skempton and even the possibility of cancelling event. Well I am sat here writing a round up of the days affairs, so unless the tournament was as dull as your social life, you will be pleased to hear that the event went ahead thanks to our silver tongued Event’s and Sport’s Officer. Fate almost snuck in for a second stab at goal, this time there were no footballs! 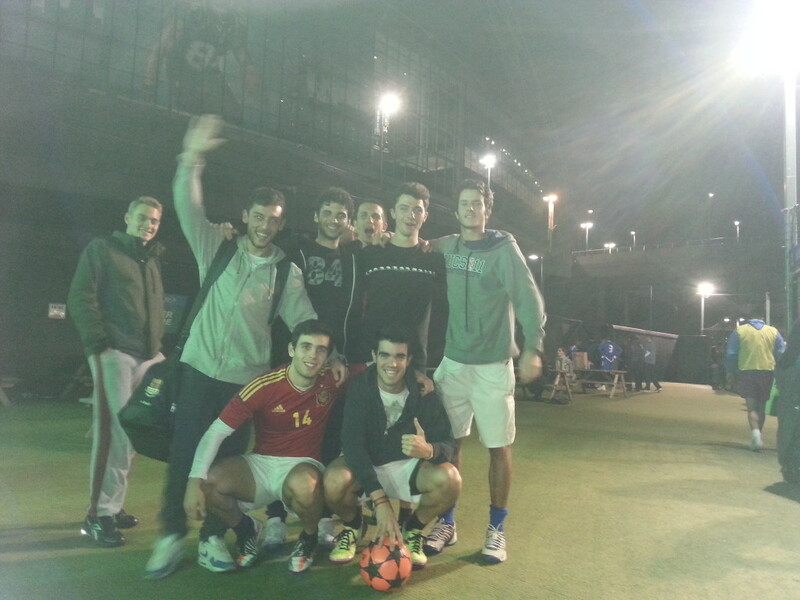 Could you believe it, no footballs at a Powerleague! That’s like Imperial without men! It was up to our handsome young LIVIC editor to work his magic this time, and boy did he deliver, two fresh balls almost as good as his own. Almost. The pre match preparation was almost coming to an end, cycling shorts were on, shin pads were left in the changing rooms and preparations for the celebratory team showers were already in the pipe line. We had nine teams in total, at one point in the planning stage we only had one, so credit is due to Mitesh Patel, our Event’s and Sport’s Officer who pulled his finger out and organised a tournament so good that there are unconfirmed reports that UEFA want to get it fully licensed for next years event! The affairs kicked off with two third year teams, Freely’s team were being held well by Fieber’s team as both teams took it by the scruff of the neck. Freely’s team shot in the to the lead just after the half way point and the flood gates opened dramatically ending the game 4-0; including two Freely pile drivers. It was a strong start from last year’s winners who were missing a few key men but had some half decent replacements. One team that were missing this year were a staff team, rumours knocking around a third year Structural Mechanics lecture spoke of their talismanic player being abroad in Lisbon, giving a few training tips to Cristiano himself (Wadee, 2013). Nevertheless, the show must go on; and boy did it go on! Freely’s team were back in action, after storming to their last victory their confidence was sky high. However, Mohammed’s had other ideas, in a swift counter attack they squeezed through a gap in Freely’s defence to fire the ball home. Their goalkeeper also pulled off a barrage of exceptional saves, most notably a quick fire double save at close range to keep their team in the lead. The clock was ticking and Freely’s boys couldn’t come up with the goods, ending the match 1-0. Were last year’s champions about to be dethroned? 16 young(ish) males. 0 muggings. Result. Elsewhere in the tournament Nugent’s team had taken to the pitch, last year this very team had succumb to a record number of injuries ruling them out of any possibility to progress past the group stages, this year they were out for revenge. The EEEasy Engineering team were on the end of a powerful performance by Nugent’s men, Sawtell-Rickson came absolutely storming out of the blocks, buzzing all over the pitch like a ferret on heat! Their hard work paid off all over the pitch as van der Bie was able to drive through the middle and secure a one-goal cushion. The EEEasy Engineering team fought back though and Nugent had some defending to do, getting his body between the ball and the man several times to shepherd it back to Patel’s safe hands, more on his hands later, particularly his left! Cries of "foul" and "referee" were heard from all over the pitch, the last time this LIVIC editor checked, football was a contact sport, perhaps try your hand at basketball lads. To be fair, EEEasy Engineers probably don't have much human contact, so it probably came as a shock to them as Nugent’s men advanced in to their next game with a 2-0 win and were up against Cucca’s team. Nugent squandered a chance in the last game that could have finished the tie, but this time he left no chance unfinished. Firing on all cylinders he led his men to an inspiring 9-1 victory, hard work all over the pitch by the team saw the game through and also in to the semi finals, a definitive improvement on last year! It was a harsh welcome to the world of 5 a side football for Cucca's men (Marr, 2013). The semi final’s beckoned, first off were Nugent’s men against Wilson Wanderers. Rumours circulated Wembley to take out Nugent and put an end to his goal scoring, as if that was going to stop him! With a solid back three behind him Nugent fired his boys in to the lead with a deflection off one of the Wanderers, who was probably wondering how good looking Nugent was; it was up to Shah, van der Bie and Sawtell-Rickson to handle the onslaught of attacks by the fresher team. Marshalled by van der Bie and backed up by Patel, the lads held their own and Nugent pounced again, picking up on a fresher mistake opening his body up and slamming the ball bottom corner to send his team in to the finals, Bofarull had no chance. Next up was Fieber and Freely’s team in a rematch of the opening game, Yip got on the score sheet, scoring a well driven shot from the edge of the box but unfortunately Fieber couldn’t rally his men enough to overcome the might of Freely’s team. That left Nugent’s team pitted against Freely’s in the final, it was a well fought battle but fatigue was kicking in and some of the boys just couldn’t keep up so Freely’s team were able to storm to victory, Baptista's composed dribbling and speed were causing them problems all afternoon. Their mixture of Spanish flair, Ealing Road movement and Portuguese shooting meant that they were the better team in a well-deserved victory. For those of you too lazy to come to because you were eating three chocolates and a tub of ice cream you missed out on a huge event! This is the standard CivSoc means to set for the rest of the year, so make sure you get down to all our upcoming events and pay attention to your emails. All in all it was a great tournament, even though it was so far from the Skempton, I heard good feedback from all corners of the pitch and the event looks set to be another massive hit next year. 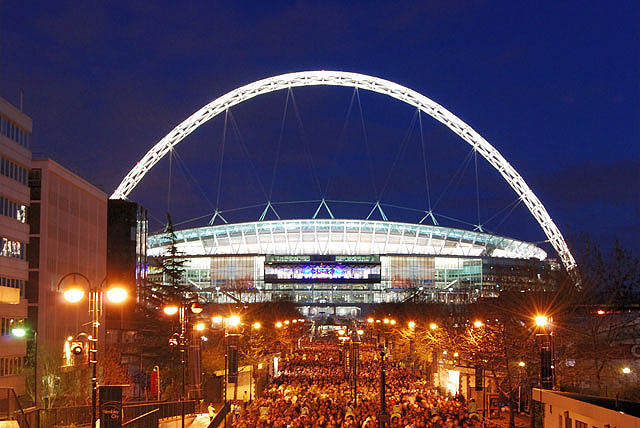 A return to Wembley perhaps? Or will London dish us up a better venue? I would like to thank a few people for today; Mitesh Patel for organising the evenings proceedings, Paras Shah for collecting all the cash, gambling it on Spurs to win 2-0 and making an absolutely insane profit for CivSoc, Hannah Riordan for coming down to cheer everyone on and improving the 77:0 ratio and last but not least thank you all for coming down and making the tournament what it was. CGCU Tournament in the summer? CivEng looks like it has a pool of talent to pick from!